Where to Buy Sevin Granules, Sevin 8% Carbaryl Insecticide Granules - 50 Lb - $116.95 for Sale with Fast Free Shipping! Sevin 8% Carbaryl Insecticide Granules - 50 Lb provides broad-spectrum control of more than 130 turf and ornamental pests with residentional spot and commercial, agricultural use label. By buying this product & leave product review you can collect normally 11 reward points as a voucher of $1.10(1%). 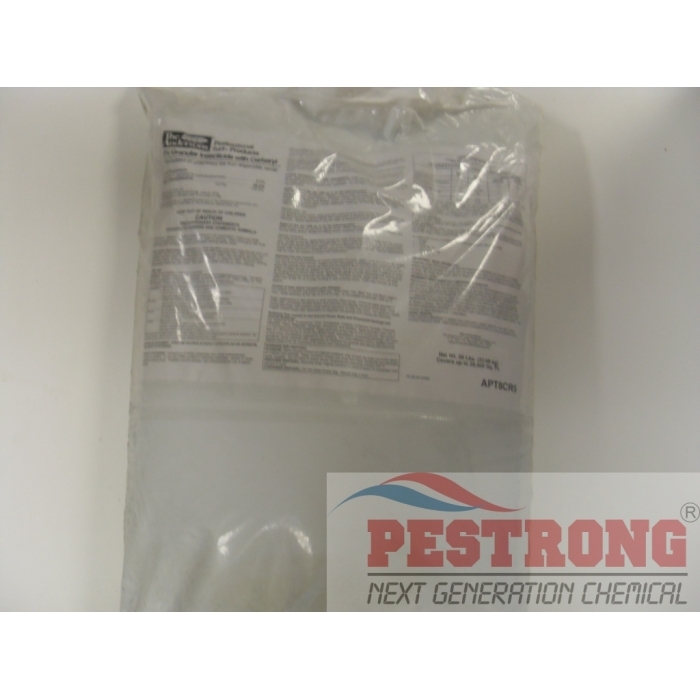 TVC Total Vegetation Control Herbicide - 32..
Sevin 8% Carbaryl Granular Broad Spectrum Insecticide - 50LB provides broad-spectrum control of more than 130 turf and ornamental pests. Sevin has been trusted for more than 35 years by golf course superintendents, arborists, lawn care operators, nursery professionals, and parks and recreation directors to provide effective, curative and preventative insect control. LAWNS, RECREATIONAL, AND ORNAMENTAL TURF AREAS: For control of turfgrass pests, apply granules uniformly to the turfgrass. For optimum control, follow specific directions for proper watering or irrigation after application. Do not allow public use of treated area during application. Ants, Armyworms, Centipedes, Chiggers, Chinch Bugs, Crickets, Cutworms, Darkling Ground Beetles, Earwigs, Essex Skipper, European Chafer, Fall Armyworms, Fiery Skipper, Fleas, Grasshoppers, Green June Beetles, Green June Beetle Grubs, Lawn Moths (Sod Webworm), Leafhoppers, Lucerne Moth Larvae, Millipedes, Sowbugs, Spittlebugs, Springtails, Ticks, Yellowstriped Armyworms. Specific Directions For general insect control, apply granules uniformly when grass is dry. For most effective control, lawn should be watered lightly after application to disperse the granule and release the chemical. Repeat applications may be made as needed to control new infestations. White Grubs (such as Japanese Beetle Grubs, Chafer Beetles, Phyllophaga spp. Grubs, and Annual White grubs), Bluegrass billbug larvae, European crane fly larvae. Specific Directions For white grub control, applications should be made when grubs are feeding near the soil surface, usually during late March through May or July to early September, or as recommended by local agricultural extension agents. For more effective control, turf should be watered thoroughly after treatment to disperse the granule and release the chemical. Repeat applications may be made as needed to control new infestations. For use as a mound treatment to control Imported Fire Ants, apply 1.2 to 2.4 ounces by weight over and around each mound. Irrigate mound thoroughly immediately after treatment to disperse the granule and release the chemical and flush it down into the mound. A minimum of 1 gallon of water should be applied to each mound, but do not use more than 2 gallons of water as flooding of the mound may result. Apply water gently to avoid disturbing ants and causing migration before the chemical can be effective. For best results, apply when ants are least active (65° to 80° F), or in early morning or late evening hours. Treat new mounds as they appear. For control of juvenile and adult Ixodes spp. Ticks (Deer Tick, Bear Tick, and Black Legged Tick). Apply granules at the rate of 2.0 to 2.4 lbs. of formulated product per 1000 sq. ft. Begin applications in late spring or early summer (May/June). Uniformly apply granules to entire lawn, perimeter wooded areas, and property boundaries including shrub beds, ornamental plantings, and wooded areas where exposure to ticks may occur. For optimum results, irrigate treated areas after application to disperse the granule and release the chemical. 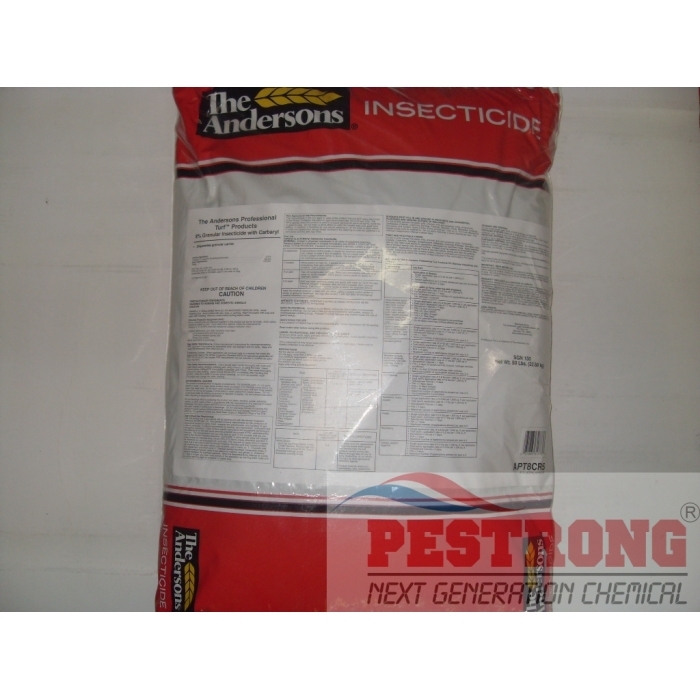 For control of Ants, Armyworms, Ticks, Centipedes, Crickets, Cutworms, Earwigs, Firebrats, Silverfish, Fleas, Millipedes, Sowbugs, Scorpions, and Spiders: Apply granules uniformly in a 6 foot band around the building. Apply granules at the rate of 4.6 ounces per 120 square feet (6 x 20 foot band) to shrub and flower beds, foundations, ornamental plantings, and lawn or soil areas immediately adjacent to the building. For most effective control, treated areas should be lightly watered after application to disperse the granule and release the chemical. Repeat treatments as necessary to control new infestations. Great insecticide! Easy to spread and work into the soil. It apparently lasts a long time because after I saw insect populations dropping, I didn't notice anymore for over a month. Great place to order this from. Fast delivery and the product is very effective. Fast shipping, good price and the product works as advertised. Product arrive in good packaging. I have used this to springtails and clover mites outside. We have armadillos and this is the only product I have found that rids my lawn of what these destructive creatures like to dig and eat. It works faster than competitive curative products and cost effective.